Vigilius Mountain Resort may not have a gym, but it has something better – an incredible natural outdoor setting in which to move and meditate. You can elect every morning to do The Five Tibetans with Vigilius’ personal trainer in The Paradise Garden. The Five Tibetans are highly energizing yogic postures and exercises that originated in the Himalayas. Liberating and enhancing the innate energetic power of the human body and mind, these five exercises take a minimum of daily time and effort but offer remarkable results in the way of increased physical strength and suppleness as well as mental acuity. 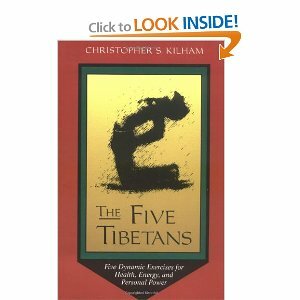 Amazon has the classic how to book: The Five Tibetans which demonstrates the original exercises. However, our friends at Yoga Today have a free and supereasy to follow Five Tibetans video on YouTube which you can do every morning! Click here to watch now.